Velvet flowers frame the face with an asymmetrical touch. The base is a narrow skinny velvet band. 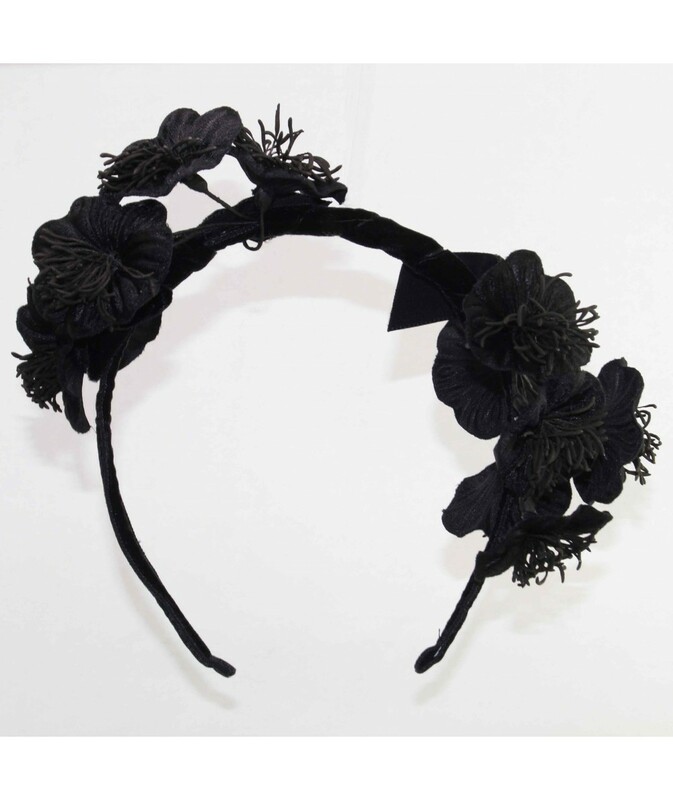 Black velvet flowers are great way to add fun to your winter wardrobe.